There’s a saying that a good friend is hard to find. While some of us found those true friends when we were young, even as we get older we can meet and develop that special bond. True friends – ones that are rooted in mutual trust and respect can be hard to find. When Gil and I head out for the beginning of a 3 hour drive, I had no idea that it would lead to gaining not one, but two very special, and very loyal friends. 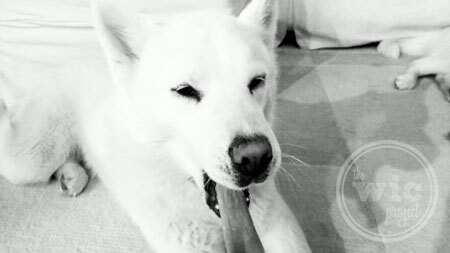 When we had first talked about getting a dog, we weren’t certain exactly the breed we would get, or where we would get it. Then, one day, I happened across an advertisement for three puppies. What caught my eye was that these puppies were all white. They looked like tiny, furry cotton puffs, so cuddly and cute. A quick phone call later, and we had made a deal. We would adopt two of the three puppies. The next day, we were in the car, on the road to meet our new canine companions. It wasn’t long after we pulled up outside the home that we were greeted by one very vocal Husky, followed shortly by another, and then quickly followed by a massive, all-white Akita/wolf mix. All barking. 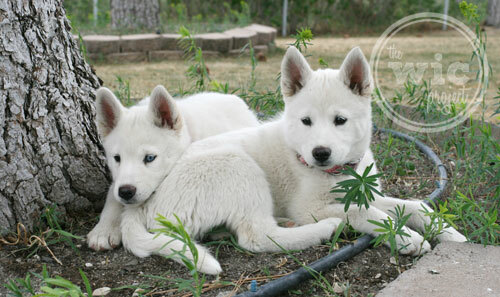 We soon learned that the first Husky was the mother and the father was the Akita/wolf mix. The other Husky was actually an older brother from the previous year’s litter. After meeting the family, all of whom seemed to give us sniffs of approval, we met the girls. The girls running around with their Kongs. My heart practically melted as these two tiny puppies emerged from the house. Cuter in person than their photos – especially when one of them picked up an old sock and started to run around the yard with it. I picked one of the puppies up and cradled her in my arms, feeling the warmth and the softness of her puppy fur. I looked to my right and Gil was doing the same with the other puppy. At that moment, I knew that our family had just doubled in size. Sophie’s trying to figure out why I woke her up. With my new HTC Windows Phone, it’s easier than ever to capture those fun and special moments with the girls. Not only does it have an incredible camera that lets you take pictures from the front AND the back of the phone, but it also includes a cool Photo Enhancer app that allows you to apply filters and and save your enhanced photo. Then, you can sync up your phone to another Bluetooth device, like another Windows Phone or even your laptop, and share the photo. How cool is that? I love that this phone makes taking and sharing photos so easy and intuitive. It really helps you to take pictures of all those special moments – both big and small. Do you remember how you met a special someone in your life? How did you #MeetYours? 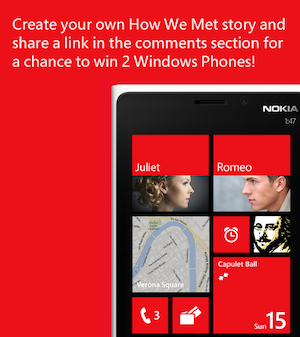 Use the How We Met Facebook app and share your story for your chance to win not one but TWO Windows Phones! While Sophie and Sera aren’t on Facebook for me to create a story, you can create your story and share the link below to enter our giveaway! 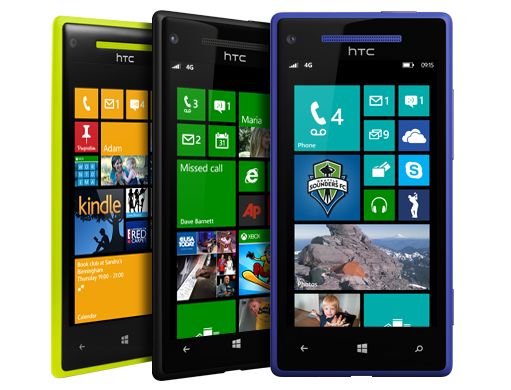 One winner will receive 2 Windows Phones – 1 8X by HTC and 1 Nokia Lumia 920 – one for you to keep, and one for you to give to your loved one! Please Note: These phones will only work on US providers (AT&T or Verizon. Congratulations to the winner – Alison! Your new babies are adorable! I did it on my sister and it came out really funny. It is generic and not necessarily to be a sweetheart. Me and my best friend from high school! That is actually a cute app!